Sign up for Broadjam today to follow Round the Bend, and be notified when they upload new stuff or update their news! Based in Madison, Wisconsin since 2000, Round the Bend blends Bluegrass, Old-Timey, and Western Swing in captivating versions of traditional songs that evoke nostalgia, love lost and found, and barn-dancing fun. Spirited vocals, tight harmonies, inventive instrumentals and down-home humor have delighted audiences of all ages at parties, festivals, community concerts, weddings, and senior centers. Tailoring selection of tunes to hosts' requests, the band offers concert-style shows or low-profile background music. 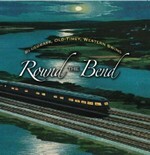 Round the Bend loves to have a good time with audiences. Released in September, 2007, the CD was reviewed by Country Music Historian, Bill Malone, who concluded, ?The diversity of styles is one of the most appealing aspects of the music heard here?original pieces, old-time hoedowns, bluegrass standards, vintage blues and jazz tunes?.You?re going to love what you hear. ?